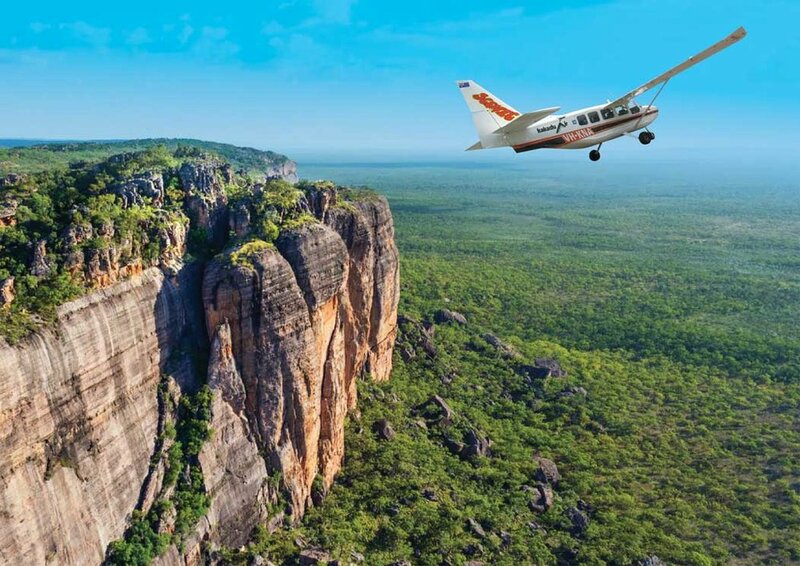 Enjoy aerial views over the World Heritage Listed Kakadu National Park on a 60 minute scenic flight departing from Jabiru. With a guaranteed window seat on all our flights, sit back and take in the majesty of Australia's largest National Park whilst absorbing the informative commentary. 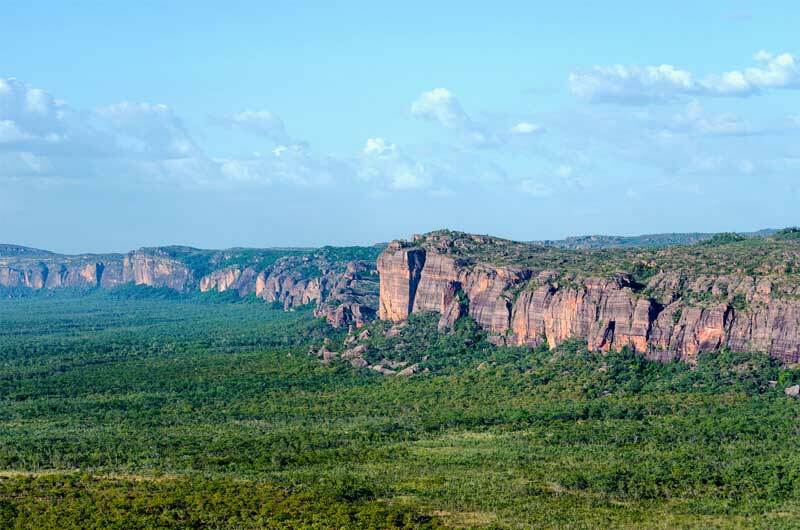 Dry season - (approx June - November) Passing the Ranger Uranium Mine across to Dinosaur Valley, fly through Upper East Alligator Valley viewing deep fault lines, view the outliers created from erosion, then follow the twists and turns of the stunning East Alligator River. Don't be surprised to see salt water crocodiles sunning on the banks of the river. Turning home, we fly over the mosaic Magela floodplains, with one last view of Jabiru Town to see the famous Crocodile Hotel. Wet Season - (approx December - May) Heading south, passing the Ranger Uranium Mine, fly across Mt Brockman and along the escarpment to “Lightning Dreaming". 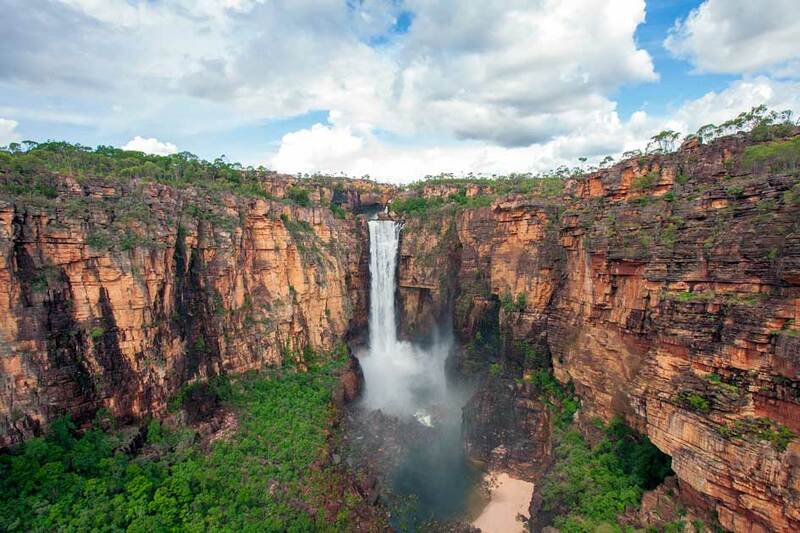 After crossing Deaf Adder Gorge, we take in the beautiful Double Falls, a spectacular waterfall in Kakadu. Fly across the Arnhem Plateau until it drops away to reveal breathtaking Jim Jim and Twin Falls. **Please note that commencement and termination of Wet & Dry seasons are determined by the weather. If you are visiting in a transitional period eg. November/May and you have your heart set on a certain flight path, it is best to contact us direct to confirm which flight path we are operating.